The healthcare language services industry is competitive, with new providers entering the market every year. As these companies become more sophisticated in their sales efforts, it can be difficult for healthcare leaders to determine which language service providers are truly committed to quality. The Claim: "We have thousands of interpreters, and we have US contact centers!" US law prevents companies from training or scheduling independent contractors (ICs). Yet many language services providers rely primarily on ICs; they may handle your calls with untrained interpreters. CyraCom competitors reports using mostly work-from-home interpreters, often in many countries. This raises questions about unsecured environments, call audio quality, and interpreter accountability. And cultural differences between patients and overseas interpreters may cause confusion. CyraCom handles over 90% of all calls with employee interpreters working in large-scale, US-based interpreter contact centers. How large are your centers? How many people actually work there? Where are they located? Can prospective clients tour them? Some so-called “interpreter contact centers” are tiny – potentially as few as three interpreters. Some “centers” may be dated, unsecured, or unavailable for inspection. Even some large-scale language services providers claim to have “contact centers” while designating around 10,000 sq. ft. for that purpose. That’s roughly the end zones of a football field. CyraCom operates over 200,000 sq. ft. of US interpreter contact centers – enough to fill half a stadium! The Claim: "Our per-minute prices are extremely low!" A lack of quality due to lack of training? Many providers don’t employ their interpreters or dedicate sufficient center space – both requirements for the 120 hours of in-depth, in-person training CyraCom interpreters receive. Insufficient interpreter monitoring and coaching? CyraCom employee interpreters work in sections with their supervisor, receiving regular monitoring and coaching that at-home independent contractor models can’t easily duplicate. Interpreters working overseas in unmonitored and unsecured environments? Data breaches are expensive, and providers who rely heavily on low-wage offshore interpreters to cut costs may compromise patient data. 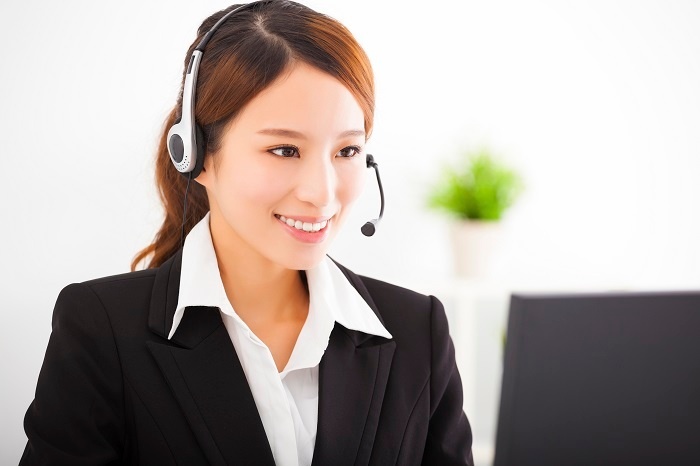 When does billing begin for an interpreter call? Some language services providers begin per-minute billing as soon as their operator answers the phone, charging the client while they identify themselves, select a language, and hold for an interpreter. CyraCom doesn’t start the meter until you’re connected to an interpreter. Are you overpaying due to deceptive billing practices or errors? Some CyraCom clients have spent years attempting to recoup thousands of dollars in billing “errors” made by their previous language services provider. We offer transparent access to billing and near-real-time usage data through our Customer Portal online. What They Say: "We offer free equipment when you sign up!" Is the equipment high-quality and easy to use? Does it break easily? Can it be repaired? Does the VRI screen stay positioned correctly when in use? These questions reflect complaints CyraCom has heard from clients about competitor equipment – poorly made, often broken, and difficult to get the provider to repair or replace. Is the equipment really free? Does it require more utilization than you actually need in order to get it “free”? Are you expected to return it if you cancel or try another provider? “Free” equipment often comes with utilization minimums that can be challenging to hit. What happens if you don’t? Does your organization pay for the minutes anyway? Does the language services provider reclaim the equipment? Does the sound quality and connectivity work in actual patient environments? Do you provide implementation support? Most equipment looks great at a conference or trade show. Test it on-site to ensure it performs there. Some language services providers ship their “solution” in a box and expect the client to figure out the rest. Confirm you’ll receive implementation support with the service. We believe in asking the right questions when comparing language services providers. Download our RFP guide to learn more about what to investigate when shopping.